5K Obstacle Course - Red 5k Inflatable,Customized Giant Inflatable Obstacle Course BY-5K-002 - Guangzhou Barry Industrial Co., Ltd.
1.At least Double& Triple Stitched, Reinforced Seams. 2.Strength ~ Durability ~ Longevity. 3.Built to withstand commercial use like rentals. 4.One of the longest, extensive & comprehensive warranties in the industry. 5.Easy set up and deflate. 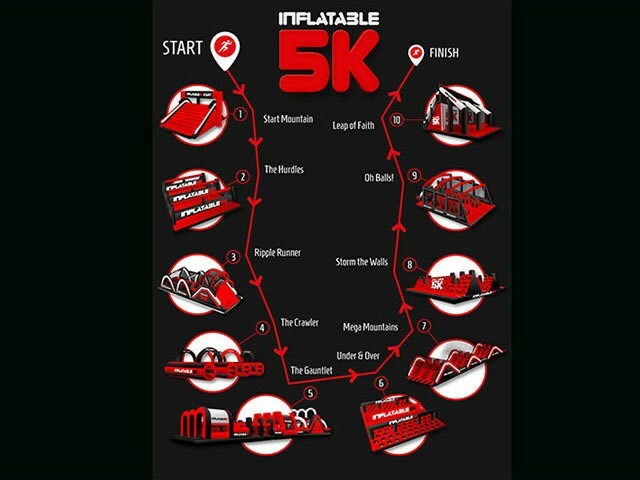 Q1:How many obstacle cource of inflatable 5k event? A:11 pieces or can be customized as you need. Q2:Did you have successful case about inflatable 5k? Q3:Can you brand my inflatables? Q7: How about the warranty? Q8:How long is your delivery time ?